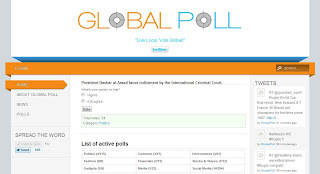 Global Poll is aiming to be a hotspot and dashboard for statements & opinions from people around the Globe! We don't want to make things simple, just give an insight in peoples thoughts on things they think matter. Registererd users will be able to create their own polls and have an insight in polls they voted on and are aloud to create posts on the various polls. With registering you provide some limited personal information we analyse and produce information that will be useful and available for all registererd users. We have no pretence of producing representative samples, we mere offer an opportunity to take a look at a 'barometer' of thoughts, beliefs and opinions. We strongly believe that sharing this data will bring people together and give an outlook on the differences and more important the similaritys between people. 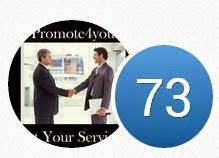 We intend to share the information you give to all registerd users. We quarantee to do our utmost best to protect your privacy! Other users will not be able to see your privat information (e.g. e-mail, gender, realname, zipcode, ip-adress or country). Please read our privacy notice. If you like you may add a comment underneath each poll and give thumbs up (or down) for other peoples comments! This will add nuance to the opinions given. Please use our sharing and Facebook likes tool for sharing the polls you like with friends and other people around the globe. If you like you can embed a poll onto your blog or website. The results will show both here and there. We will see how this develops Tomas! tweet: @GlobalPoll a dashboard for Global opinions, questions and statements. Register and make your own!